Categories: Activities of the Costa Brava Girona CB and MICE news. The final quarter of the year is full of activities at the Costa Brava Girona Convention Bureau. You will find all the up-to-date information on the calendar on our website, and below we summarise the most important events. 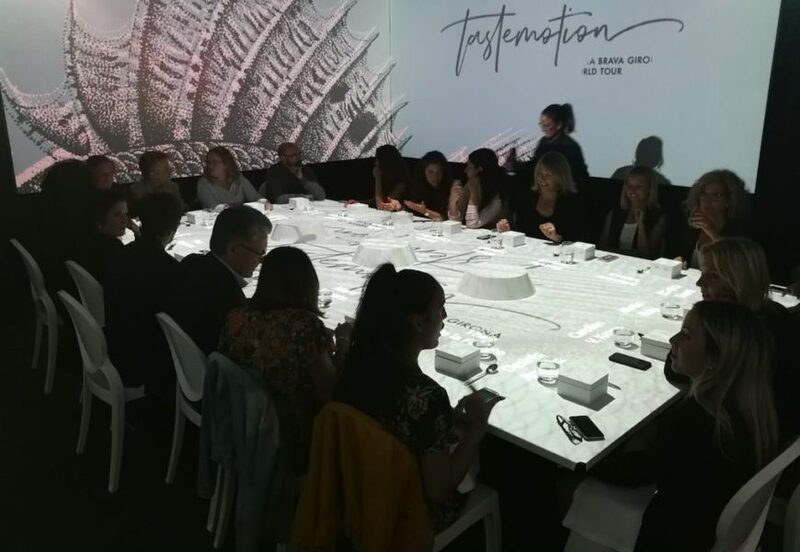 During this fourth quarter, TastEmotion, a new concept in the sensory presentation of the destination, continues its tour of Europe. The first stop will be Barcelona on 26 September, followed by the city of Munich (Germany) at the beginning of November. Another format that has facilitated very positive interaction is the afterwork, thanks to the combination of activities such as workshops and social meals that encourage networking. On 9 October we celebrated the Corporate MICE Afterwork in Toulouse (France), addressed to travel managers, event organisers and the executive secretaries of important business accounts at the agency SOP Events-CTA Events, one of the leaders in the city of Toulouse. Commercial events, such as the ones we have organised in Paris and Lille for December, allow us to make contact with professionals in the business tourism sector who are looking for alternative destinations to the large European cities that they can offer their clients. Recently, on 18 and 19 September, as part of the roadshow in the cities of Geneva and Zurich (Switzerland), we held working breakfasts with MICE professionals during which the attendees were shown a presentation on the destination and were then invited to interact with the eight representatives from member companies of the Costa Brava Girona Convention Bureau that were taking part in the event. The European MICE events calendar in the fourth quarter of the year has some very interesting occasions in store for us. On 25 October we will be taking part in the second edition of Connecta Catalunya, followed on 8 November by our first attendance at MICE Place Séminaires +/- 2h in Paris, an event addressed to corporate clients. As every year, from 27 to 29 November we will be present at the global business tourism fair IBTM World in Barcelona. The final European MICE event of the year will be held here in Girona. From 29 November to 2 December the region will be hosting M&I Experience Masters, the first official MICE sector golf tournament. This event, which is being held at Hotel Camiral & PGA Catalunya Resort, involves Fil Mediterranean Travel Designers as the official DMC and the collaboration of the Costa Brava Girona Convention Bureau and local Convention Bureaux of Lloret de Mar and Girona. M&I Experience are the most prestigious international workshops in the sector in which MICE agencies, companies and associations together with European providers, mainly from the UK, France, Germany, the Nordic and Benelux countries, participate in a sporting event that lasts four days. This first M&I Experience Masters, dedicated to golf, provides a magnificent showcase for the Costa Brava and Pirineu de Girona’s capacity as a business tourism destination. In the second week of September, eight agencies from Paris and Lyon, who we met at TastEmotion in Paris and the commercial events in Lyon this year, came to our destination to discover our MICE offer at first hand. Early in October, we received clients from the agency RTA Spain, who are interested in offering the Costa Brava and Pirineu de Girona’s MICE facilities to the German market. The same month, we are also expecting a visit from a group of agencies from the Nordic countries, in an action organised in collaboration with the Catalunya Convention Bureau.